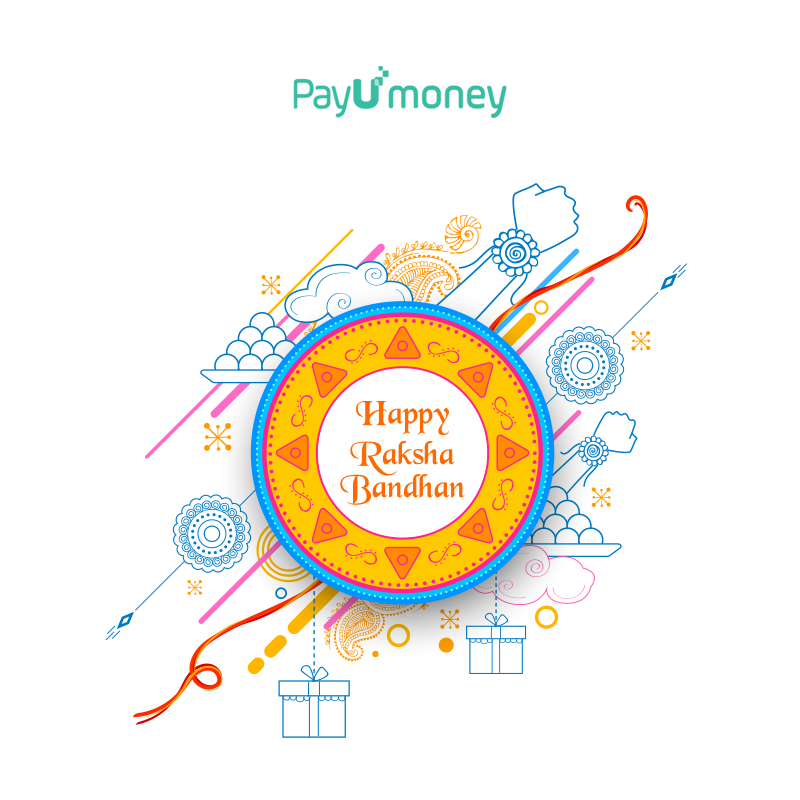 A beautiful element that binds a vast nation like India is, its colorful and diverse festivals celebrated with enthusiasm throughout the year. This is also the season when businesses gear up to make maximum profits. Sales, discounts, emails, and many more unwarned smart marketing strategies make these festivals all the more fun! Thus, with all major festivals just around the corner, here’s a simple, quick and easy snapshot of festive season marketing strategies for small businesses to bring in more sales. As per research, festival spending begins in October itself and not November. So be smart and think through these 7 festive season marketing strategies (for B2B and B2C businesses) right away in order to binge on more sweet profits this festive season! Consider your favorite brand in the world sends you a beautiful bouquet of flowers, hamper of exotically flavored chocolates and a handwritten note greeting you festive happiness. How would you feel? Special, won’t you? Treat customers and partners like your extended family! Draft a beautiful email, pampering them with customized season’s greetings, gift hampers or a voucher sitting in their inbox (if not to their address). This makes your customers sensitive to your business presence and also shoots word-of-mouth appreciation in their neighborhood and amongst friend circles. Thus, increasing your customer base and profit too. Here’s a precise resource on how to write effective emails for sales. But if you think you need to enhance your email writing skill then read these 5 ways to improve emailers for your business. Social media and website are the places where your customers and partners first find and know you. Keep your online presence especially social media updated and creative. A simple seasons’ greeting post can also make a lot of difference to your followers. It gives a sense of consideration. Run contests to improve engagement and to interact with your audience directly. If you think “contest” means giving prizes to the winners, then yes, that’s what I am asking you to do. Prizes don’t have to be pricey. You can invest a minimum amount but what you win back is priceless! Remember this is a one-time expense. If still ‘contests’ seem like a not-so-great idea, then make testimonial videos and post them across your social media channels. Testimonial videos include your customer’s or partner’s experience and what they have to say about your business. This will bring a lifelong value to your business. You can tag your costumers or partners in the video, description or comment as a cherry on the cake! Today we live in a trial economy, where everything needs to be tried before the actual purchase. In supermarkets, you must have noticed a couple of salespersons selling tasters of a particular food item for free. This allows people to experience the product first and then make a purchase decision. Basically, by introducing trials for your products you are inviting people to judge your product. This, in turn, helps you to understand the true need of your customers and create apt products. Discounts and sales during festive season are marketer’s favorite strategies during festivals. E-commerce businesses make the most of this: Big Festive Sales, Festive Dhamaka, etc is introduced in order to gain more traction. Also, consumers usually pile up their piggy banks for ‘Sales’ during the festive season. Make the most of this strategy for your SMB. Community marketing is a very prominent part of digital marketing. Earlier offline communities were set up in the form of flea markets, exhibitions, town hall markets and so on. Today, all these communities have settled down online as well. Facebook, Instagram, Pinterest have people from all walks of life and countries grouping up to form a common interest community. Eg: Communities like the social pop shop or social crafts are created for people who want to sell or showcase their talent related to the community interest. Journeys are the ones which decide what goes next to your customer in the form of communication. This could be an engaging post on your social media channels, a follow-up email or SMS, new product updates as push notifications or simple banners or pop-ups in your website. This journey needs to be a part of the entire campaign, where the consumer is notified about your products simultaneous on different platforms. Make sure you don’t bombard them with messages because this can increase your spam risk instead of your business. Pick the best channel and select the right time to send updates to your consumers. If your consumer wants to buy a notepad, then what is the harm in pushing them to buy a super smooth and fine quality pen? Cross and upselling is one of the keys to unlock the shackles of increasing sales. You are well versed with BOGO (buy one get one) or BOGF (buy one get one free) concepts. This is nothing but upselling. Cross-selling is selling a pen along with a notepad. You consumers are always looking for convenience. Sell your products conveniently to them. Myth: Advertising is expensive and meant only for big businesses. Myth busted: Small businesses can make the most of advertising as well with cost as low as Rs.100 – 500! Digital advertising is not expensive as traditional advertising (newspapers, radio, hoardings, etc). You can spend wisely by running test ads with a minimal budget at first. Depending on the response increase your budget to its best (according to you) and increase your business awareness as well. Eg: if you spend Rs. 500 (keeping this as high value) you can reach out to approx 1000 – 2000 audiences in one go. To maximize your marketing efforts on social media, discover the commonly made Facebook advertising mistakes you should avoid now. Competition is on an all-time rise with multiple businesses offering similar products with enhanced price, quality or feature. In such scenarios, festivals are a hot season for marketers to push their products forth. In this crowded economy, these 7 festive season marketing strategies prove to be subtle but leave a high impact on your audiences in the (near) future. 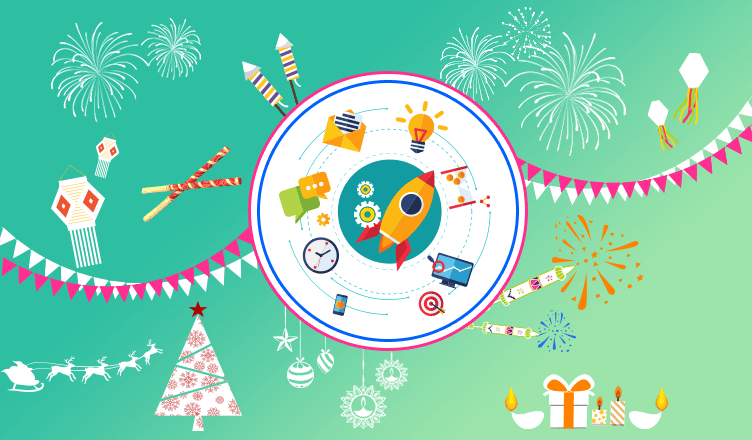 Gorge on these festive season marketing strategies to improve your marketing efforts and sales this festive season!